Recycling is a popular environmental activity, even among people who would not consider themselves environmentally conscious. The increase in recycling across the US and elsewhere globally is a positive step towards a sustainable future. But if people don’t buy products made from the materials that are being recycled, then we aren’t closing the recycling loop. 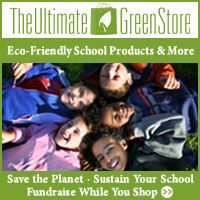 To be truly ‘green’ we must promote sustainable purchasing habits as well as promoting recycling of the goods we buy. But a 2007 study[i] found that only 25% of Americans purchase ‘green’ items other than CFL bulbs and organic food. In the US at least, recycling success depends on the markets. If brokers and processors can’t turn a profit on selling the raw recycled materials for use in manufacturing new products, they won’t recycle the material in the first place (See Why Can’t I Recycle My Green Glass Bottles). To make recycling work, we as consumers need to make our dollars count at the cash register. So why aren’t we doing it? The first three on the list undoubtedly contribute to the purchase of more mainstream ‘brown’ products. People can’t buy a product if they don’t know it exists, and although the market is flush with ‘green’ cleaners and recycled paper products, there are other products that are not so well promoted, so lack of awareness may be a barrier. Likewise, the socially conscious set is unlikely to buy products that will associate them with an unpopular group. Not everyone wants to be labeled a ‘tree hugger’ or a ‘granola’ and they feel that green purchase would (negatively) affect their personal image. Last, there have been so many stories about products that are falsely marketed as being environmentally friendly that many people distrust the ‘green’ label, or they’ve purchased ‘green’ products that don’t live up to performance expectations so they return to the ‘brown’ product that they know will do the job. Low availability of green alternatives has been a concern for many consumers. Often the only option for purchasing these products has been a health food store or internet purchase, and it can be too much effort for many people to make. However, the prominence of ‘green’ products has been greatly increased in recent years and most manufacturers of common household goods now have an environmentally friendly line marketed alongside their traditional labels. Considering that store brands are cheaper still (but generally no more environmentally friendly and certainly less likely to be made from recycled content) it’s easy to see how families, particularly those on a tight budget, opt for brown items instead of green ones. In order to make green items more attractive they must be more economical than they are now. In many cases it is more costly to produce eco-friendly goods, and that cost is reflected in retail prices. How, then, can we lower the prices on green goods? One alternative is to tax ‘brown’ items. If we can’t combat the cost at the manufacturing level, we can still make these products less attractive by applying a consumer tax at the register. Additionally taxes can be applied at the corporate level to put more of the burden on manufacturers that don’t practice sustainable production. These taxes would stimulate a consumer shift to green products, and research has shown that once that trend is established, it will continue even after the taxes are removed. [ii] Therefore, a tax need not be permanent to have a long-term effect on purchasing habits. The McKinsey Global study is entirely accurate. All five factors identified as significant do have a major impact on sustainable consumption habits. But to broaden the scope and shift the majority of consumers’ habits to sustainable purchasing, not just those who are supremely committed or who have ample monetary resources, we need to focus on the economics of buying green. What are your thoughts? Please feel free to provide your own insights in the comments area. [ii] (Brekke K A Kipperberg G Nyborg K 2010 Social interaction is responsibility ascription: the case of household recycling)Brekke, K. A., Kipperberg, G., & Nyborg, K. (2010). Social interaction in responsibility ascription: The case of household recycling. Land Economics, 86(4), 766. This entry was posted in Motivating Recycling Behavior, Recycling Policy and tagged Sustainable Consumption; Recycling Loop. Bookmark the permalink. Post a comment or leave a trackback: Trackback URL.